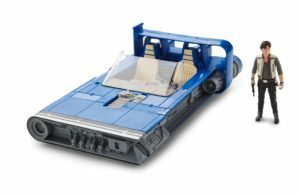 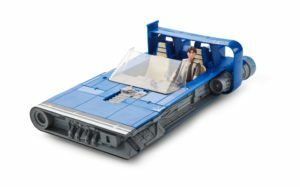 So a little late with this as the movie is out already but in case you need your fix here are some of the cool figures and vehicles Hasbro has put out for the movie! There is also great mix of other products from NERF, Bladebuilders, Might Muggs, and even a Han Solo Monopoly game. These premium 6-inch scale figures are designed with extensive detail and articulation for the ultimate collector. 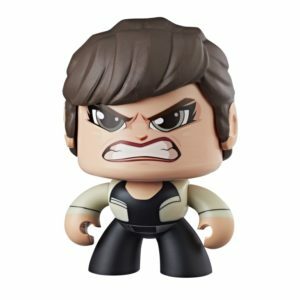 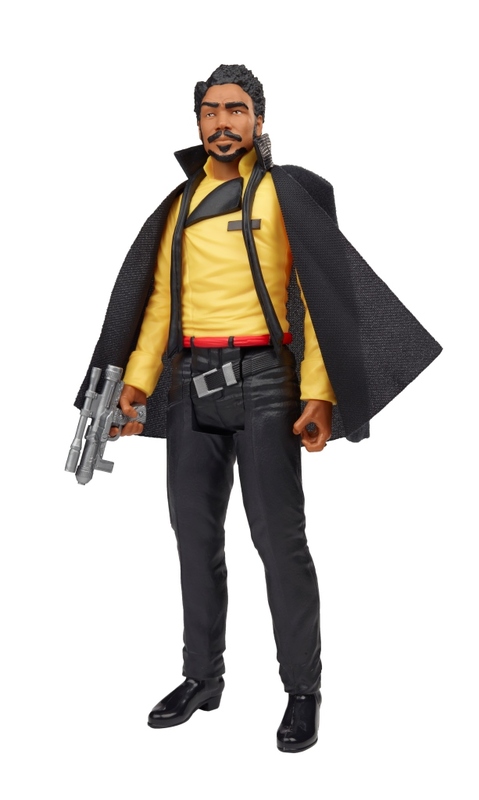 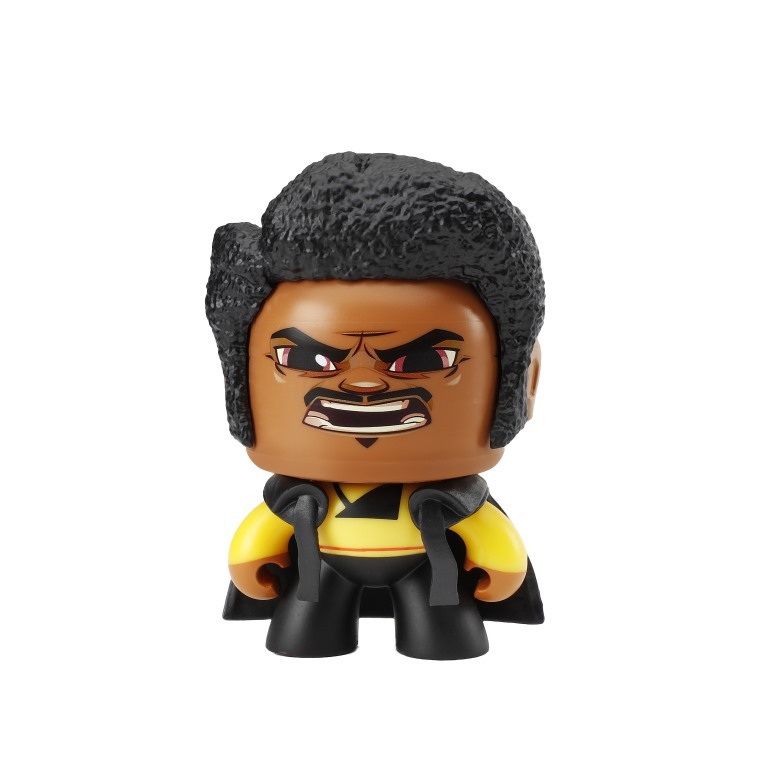 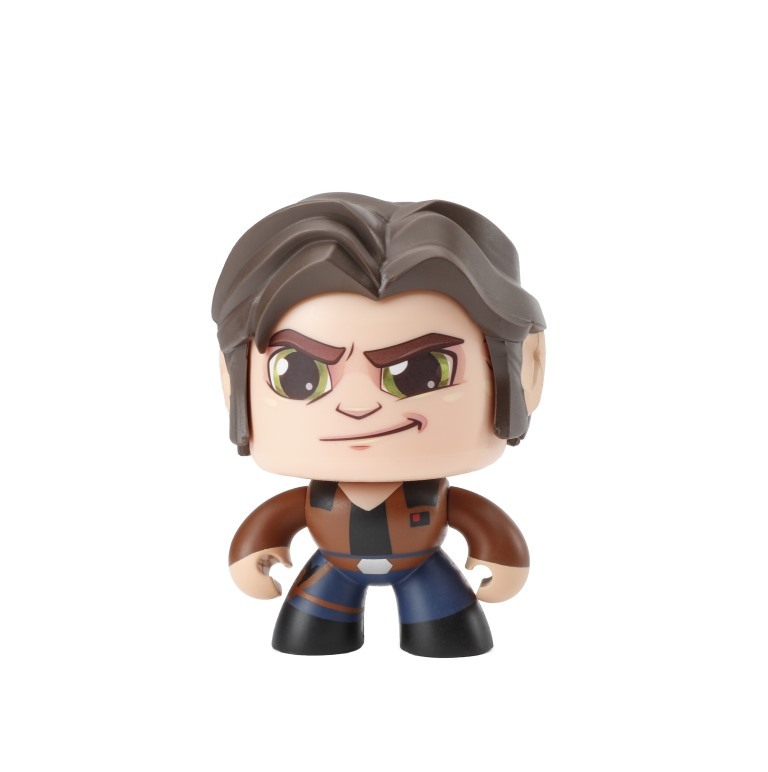 Characters include HAN SOLO, LANDO CALRISSIAN, QI’RA, VAL, L3-37 and more. 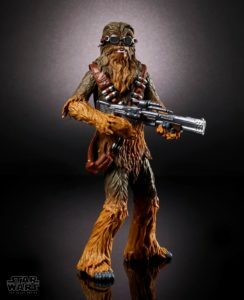 There also a Target exclusive Chewbacca. 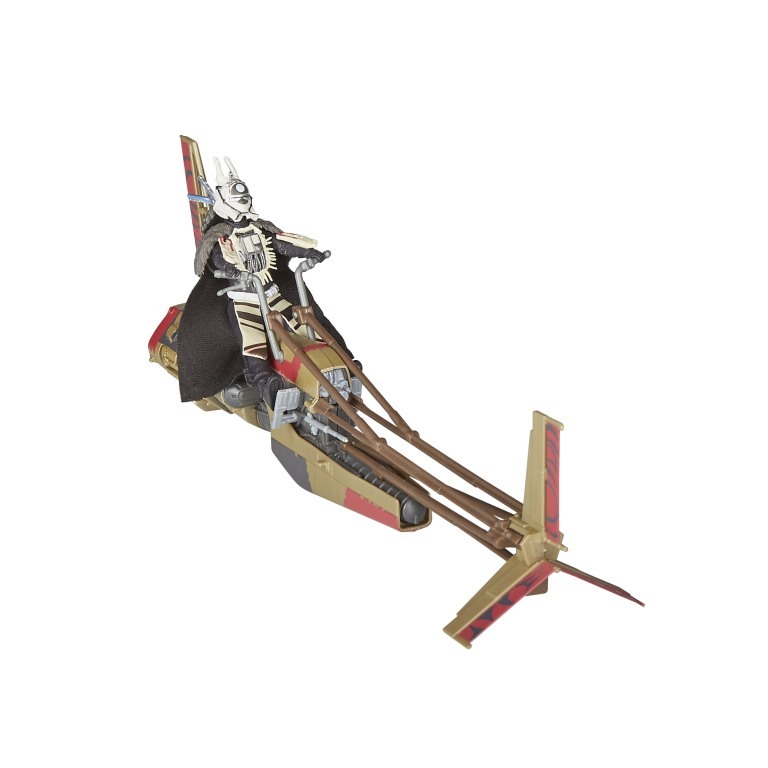 Ride in style with this premium 6-inch scale ENFYS NEST’S SWOOP BIKE from SOLO: A STAR WARS STORY! 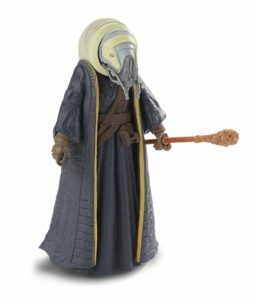 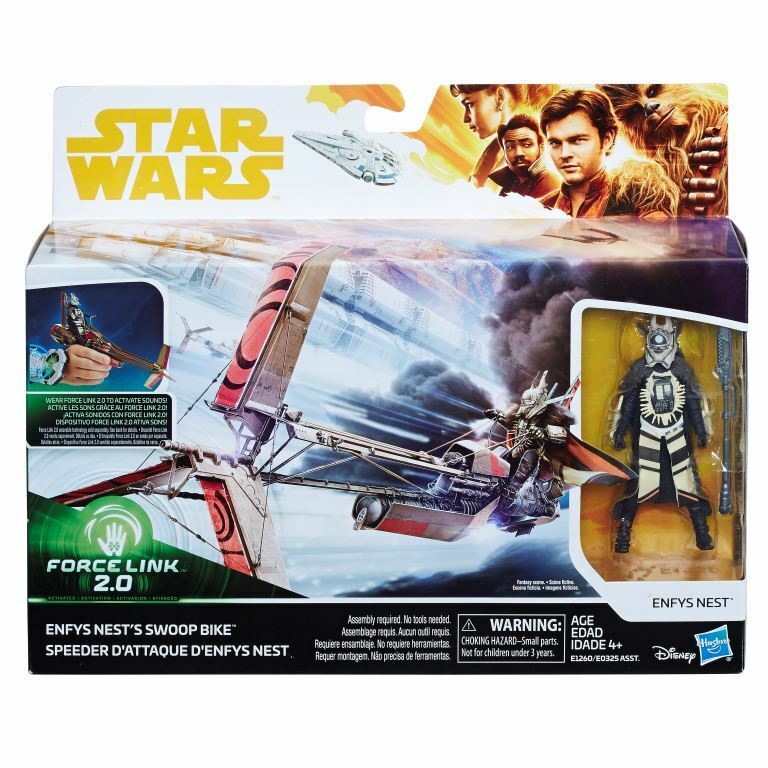 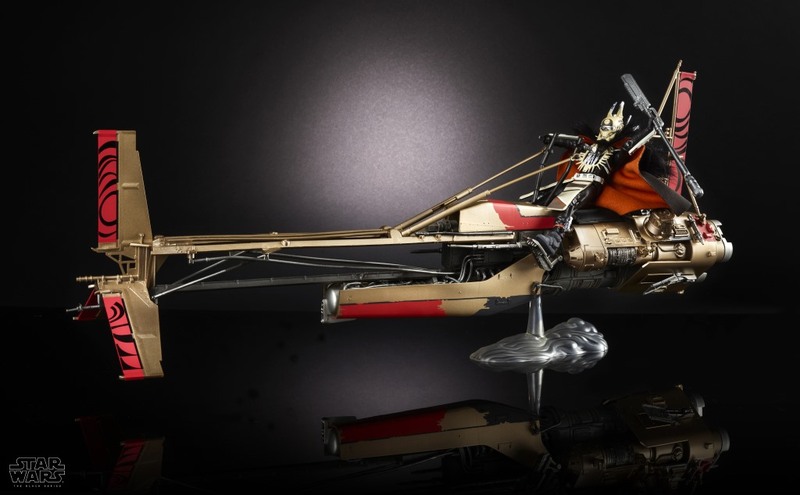 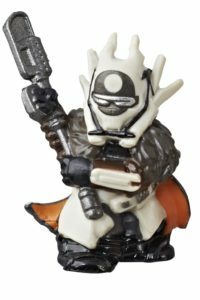 Carefully crafted with true-to-story design and elaborate detail, this collectible vehicle also comes with a highly articulated ENFYS NEST figure. Characters include classic heroes and villains, as well as favorite characters from SOLO: A STAR WARS STORY, STAR WARS: THE LAST JEDI, and ROGUE ONE: A STAR WARS STORY such as CHEWBACCA, LUKE SKYWALKER, QI’RA, K-2SO, MAZ KANATA, RANGE TROOPER, STORMTROOPER (MIMBAN), and more. Activate an array of sounds and phrases specific to each character with FORCE LINK 2.0 wearable technology. 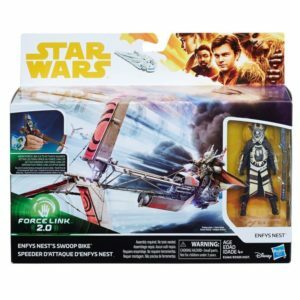 FORCE LINK wearable technology is compatible with all products in the FORCE LINK line. Pick a side in the galactic battle between good and evil! 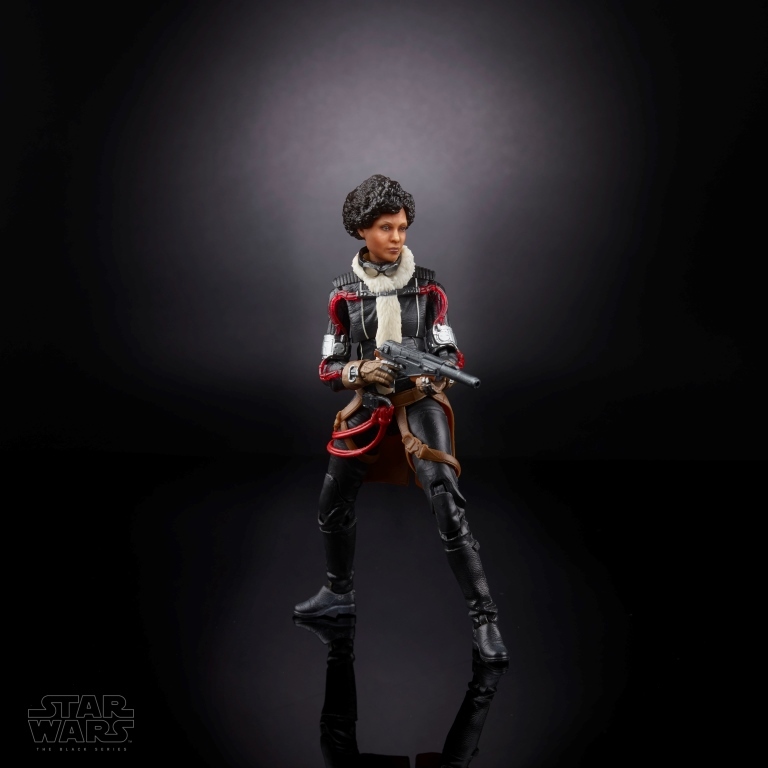 Choose between ROSE (FIRST ORDER DISGUISE), BB-8, and BB-9E from STAR WARS: THE LAST JEDI, DARTH MAUL and QUI-GON JINN from STAR WARS: THE PHANTOM MENACE, or LANDO CALRISSIAN and Kessel Guard from SOLO: A STAR WARS STORY. 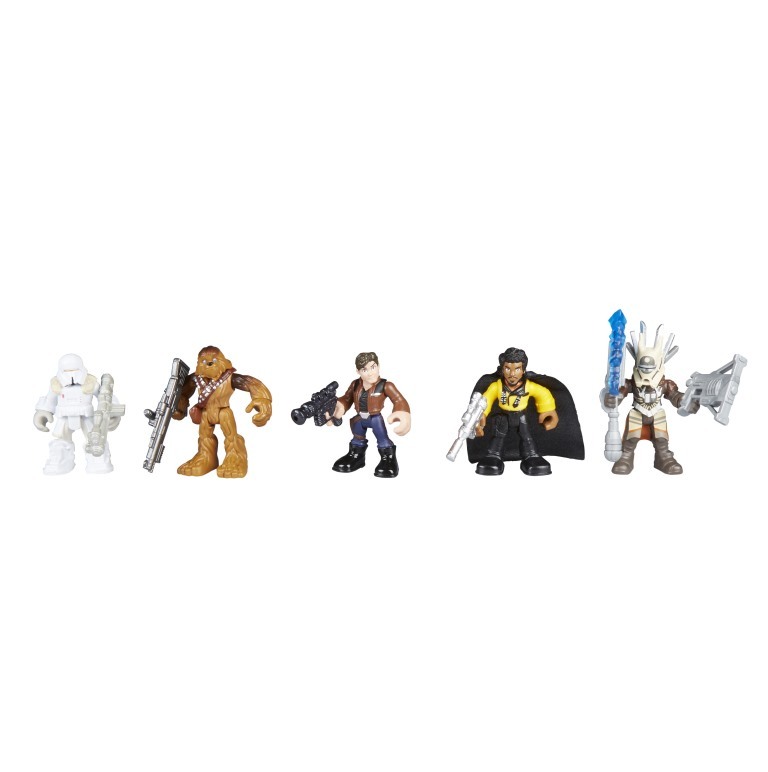 Each 3.75-INCH DELUXE FIGURE 2-PACK comes with at least 2 figures and multiple accessories. Choose between ENFYS NEST with SWOOP BIKE in SOLO: A STAR WARS STORY, the deadly WAMPA and LUKE SKYWALKER figure, or the monstrous RATHTAR and BALA-TIK figure in 3.75-inch scale in the class A assortment. 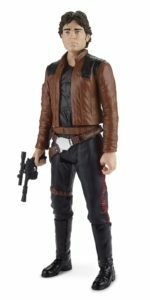 The class B assortment includes HAN SOLO’S LANDSPEEDER and HAN SOLO figure, or the RESISTANCE A-WING FIGHTER and RESISTANCE PILOT TALLIE figure. 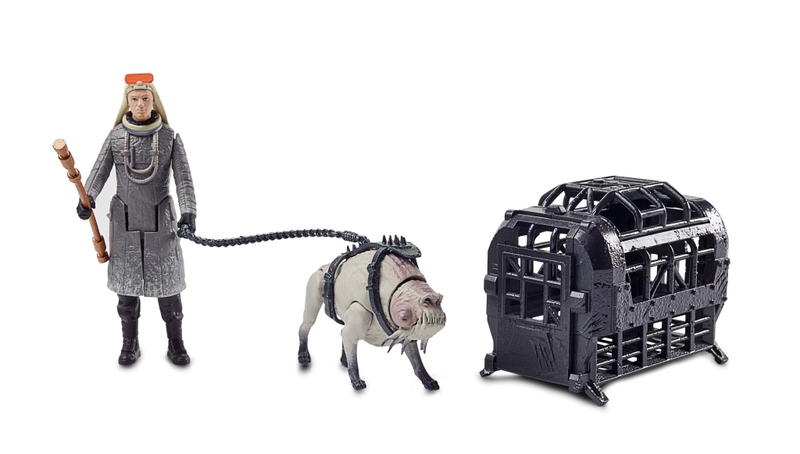 Each figure is crafted with five points of articulation and comes with its own accessory. 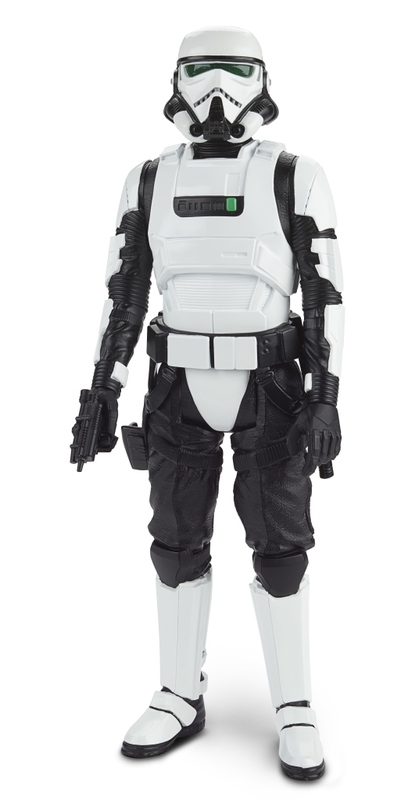 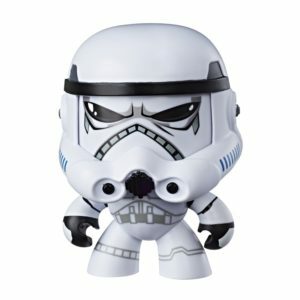 Characters include HAN SOLO, QI’RA, IMPERIAL PATROL TROOPER, and more. 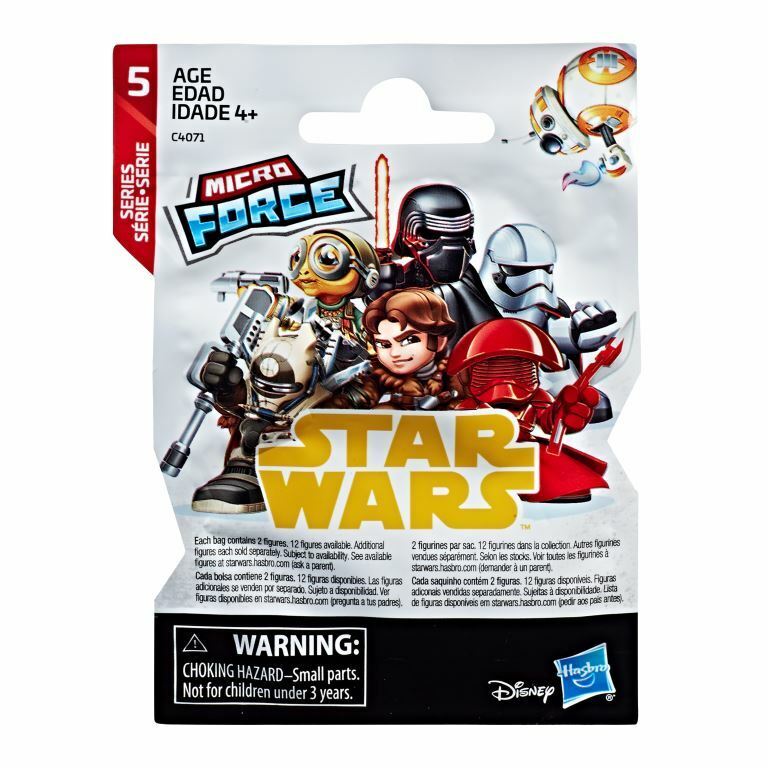 Collect the galaxy of fan-favorite characters with the STAR WARS MICRO FORCE Blind Bags Assortment. 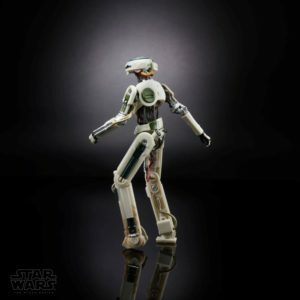 Each figure has a squishable feel and pose, creating an exciting new way to bring iconic STAR WARS scenes to life! 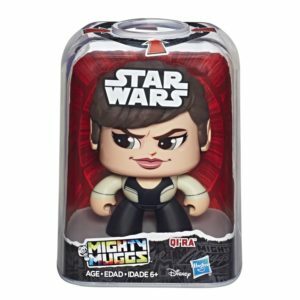 These stylized, movie-inspired micro collectibles include iconic characters such as REY, FINN, DARTH VADER, LUKE SKYWALKER, PRINCESS LEIA ORGANA, HAN SOLO, CHEWBACCA, YODA, R2-D2, and more. Each blind bag includes two figures and a collector card. 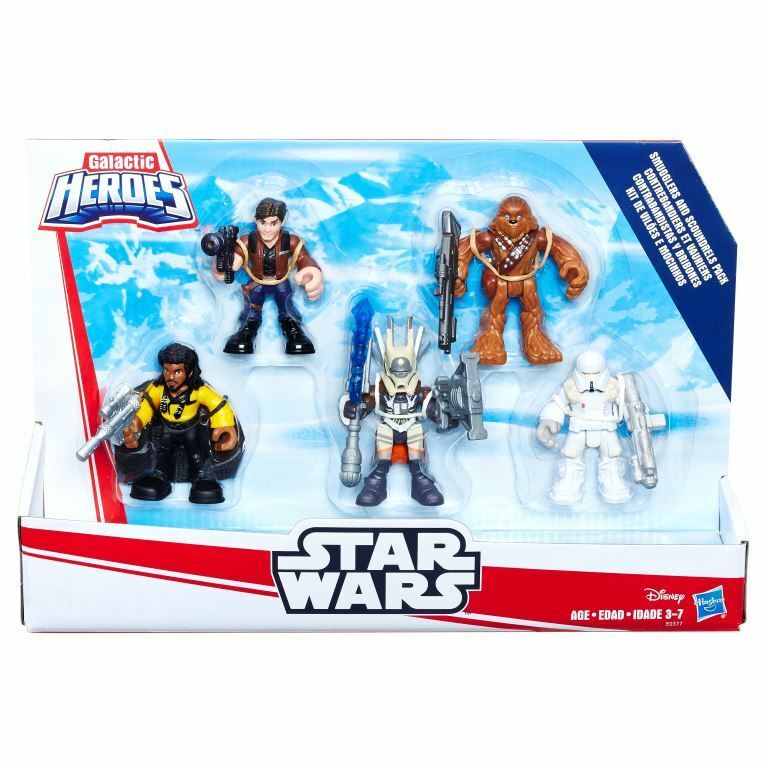 Inspired by the newest film in the STAR WARS Universe, this multipack features 5 characters inspired by SOLO: A STAR WARS STORY. Each figure comes with power up arms with galactic features and includes 2 figures not available in any other GALACTIC HEROES set. 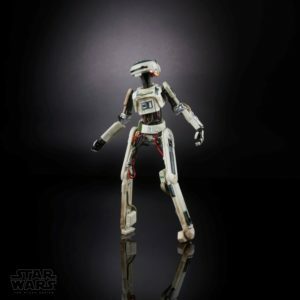 The ELECTRONIC RIOT BATON from STAR WARS: THE LAST JEDI! from the BLADEBUILDERS line. 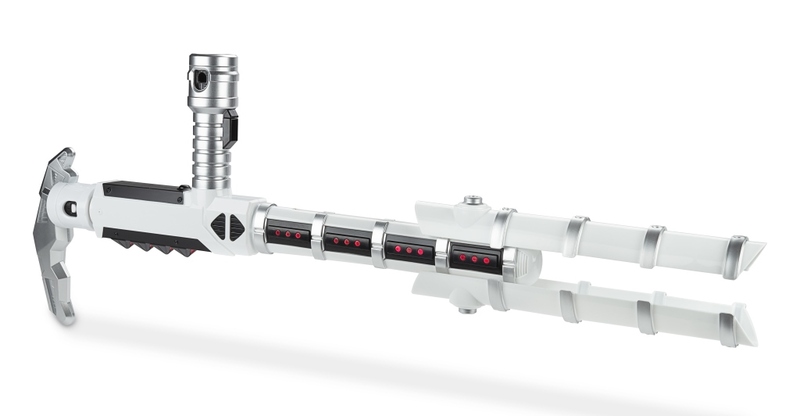 Recreate thrilling battles with the NERF GLOWSTRIKE QI’RA Blaster! 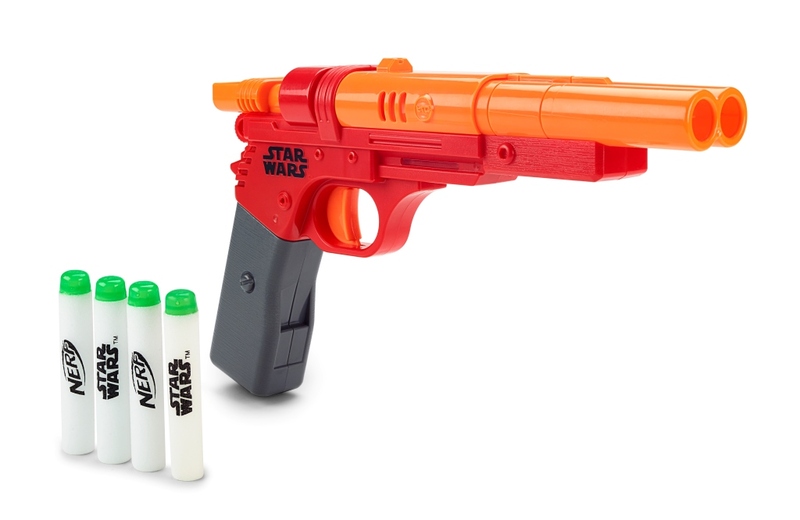 This front-load blaster fires each dart up to 75 feet and features light and sound effects inspired by the movie. The NERF GLOWSTRIKE CHEWBACCA Blaster is perfect for every sidekick! 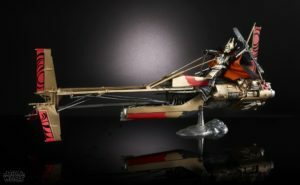 This double-barrel blaster fires two darts at the same time up to 75 feet and features light and sound effects inspired by the movie. 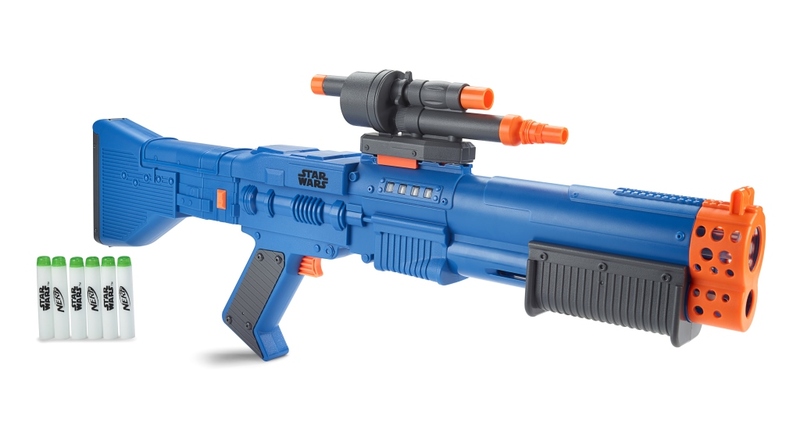 Comes with a removable scope and stock with dart storage area. 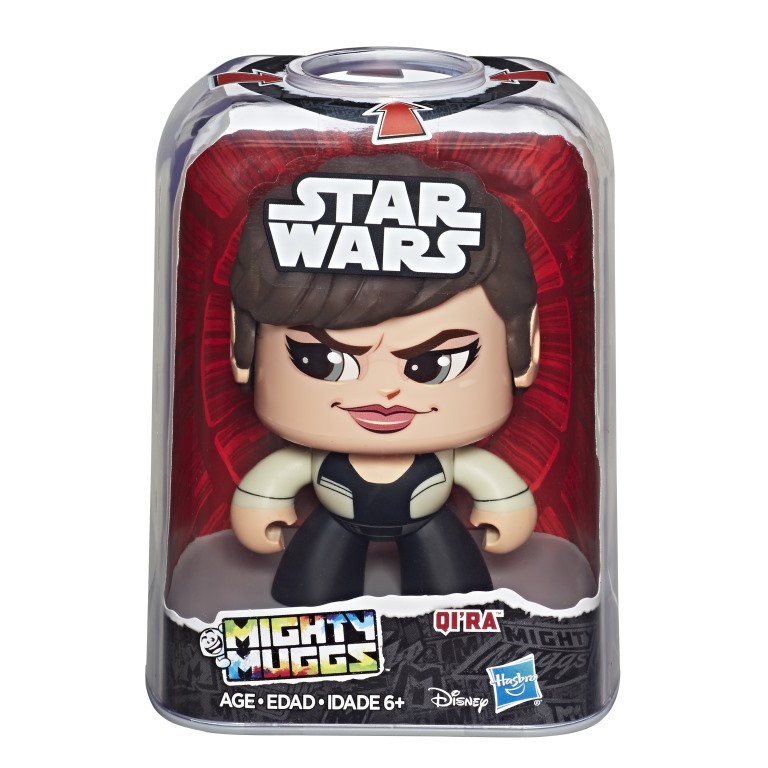 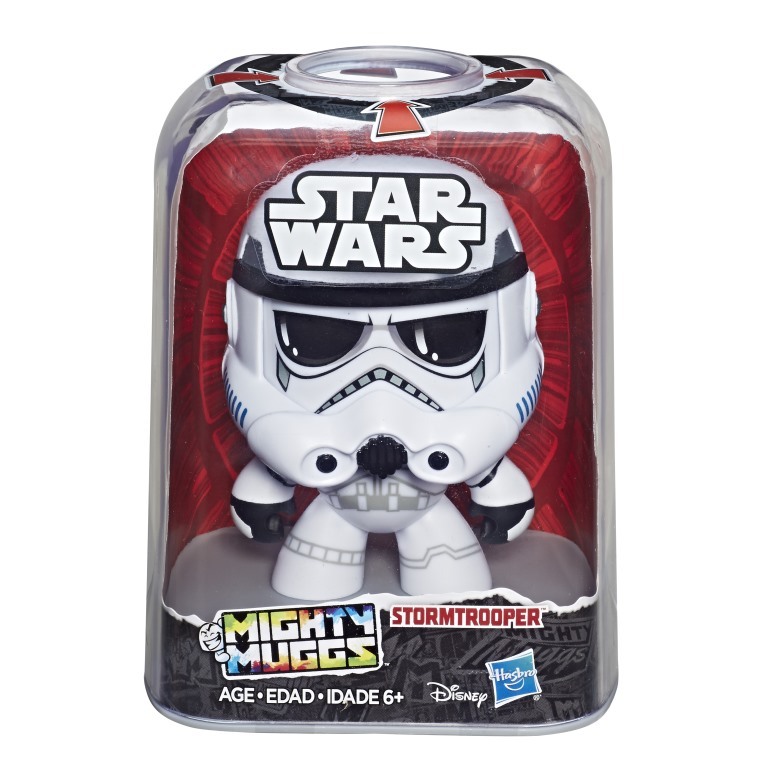 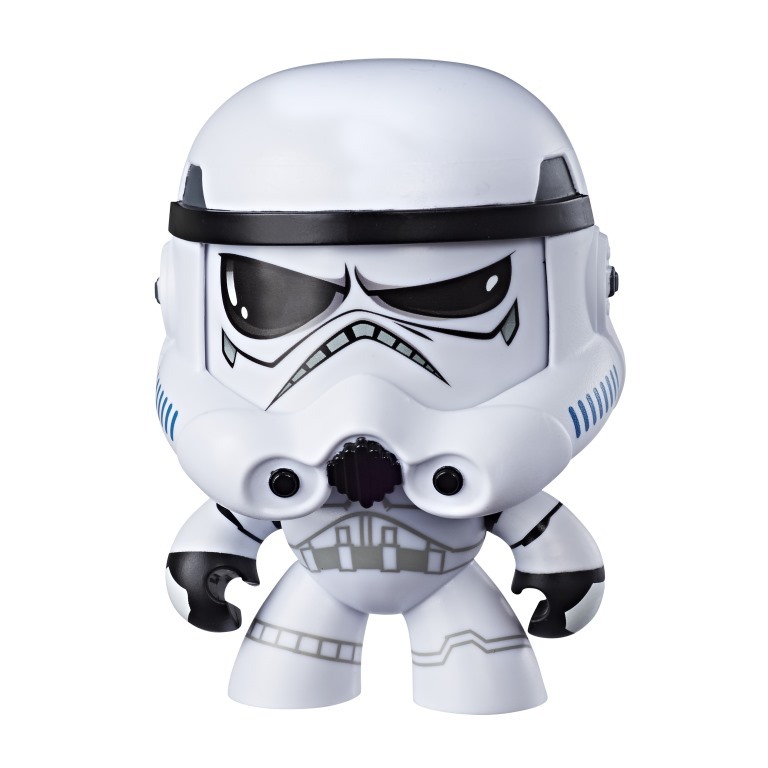 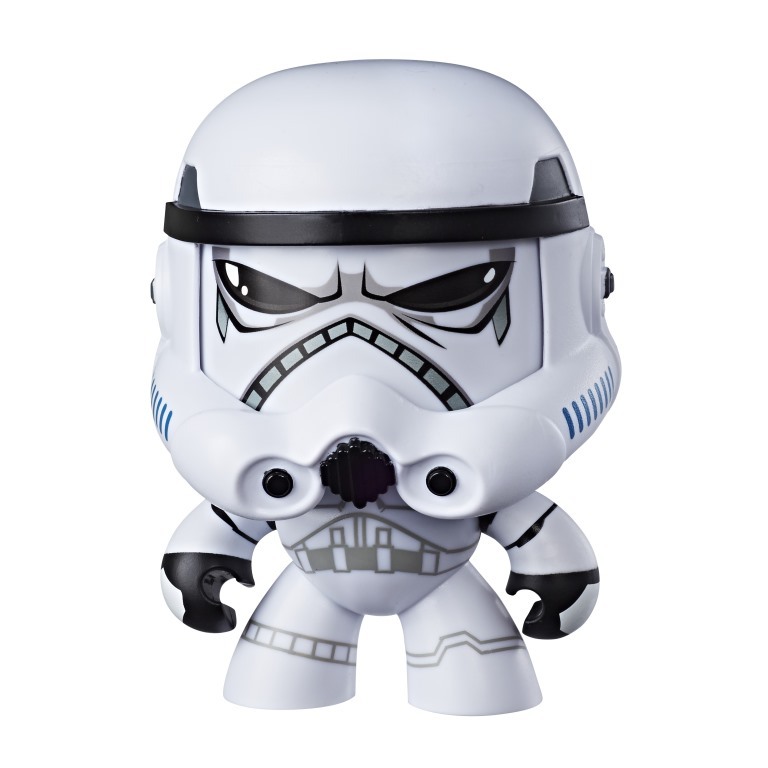 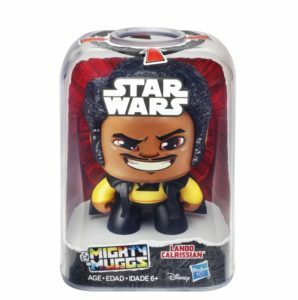 Iconic STAR WARS characters are spinning heads around the galaxy with the STAR WARS MIGHTY MUGGS Figures. 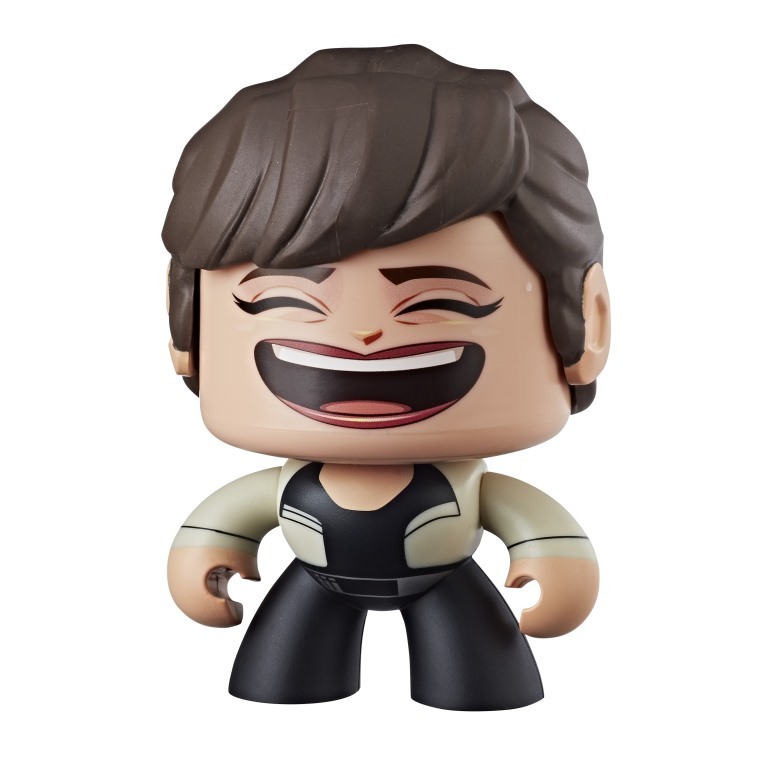 Whether it be REY with a face of determination preparing for battle or KYLO REN with an evil grin as he imagines taking over the galaxy, these hyper-stylized figures feature a push-and-turn mechanism that lets fans change the figure’s facial expression by pushing down on the head. 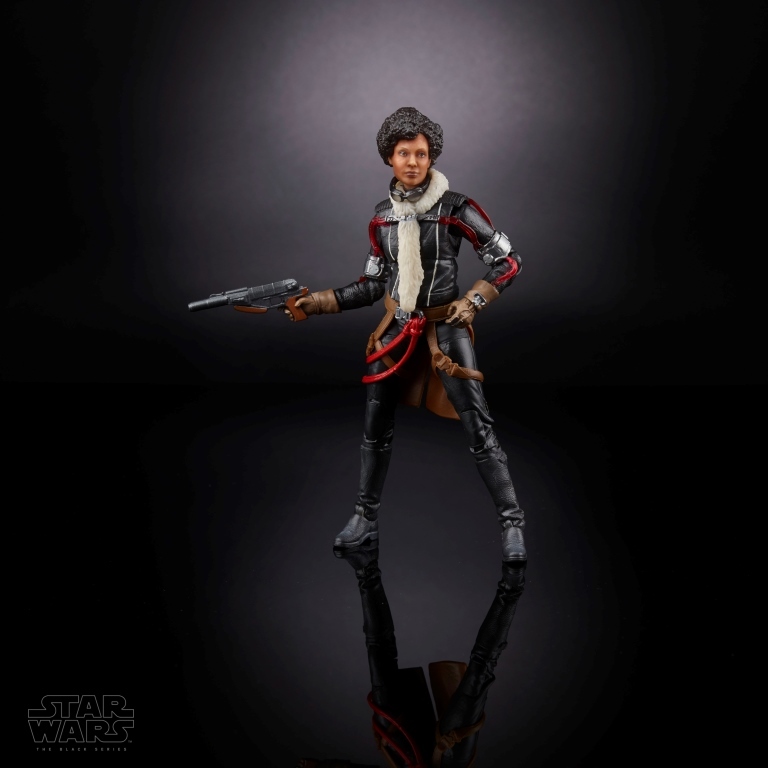 Characters include HAN SOLO, QI’RA, LANDO CALRISSIAN, and more. 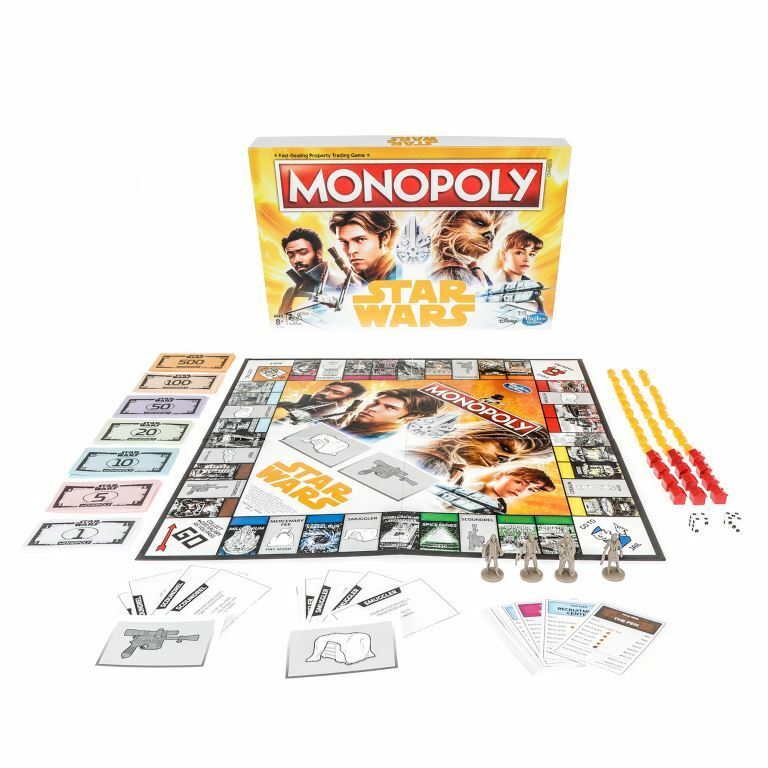 The STAR WARS MONOPOLY: HAN SOLO Edition Game includes 1 gameboard, 4 Tokens, 28 Title cards, 16 Chance cards, 16 Community Chest cards, 32 Houses, 12 Hotels, 2 Dice, 1 Money Pack, and one game guide. 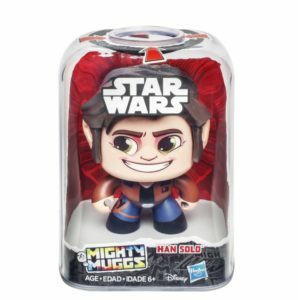 The STAR WARS: HAN SOLO Card Game will challenge Jedi’s to think strategically to outwit their opponents. To play, players will draw cards in an effort to score as close to zero as they can to collect the most valuable bounty tokens. 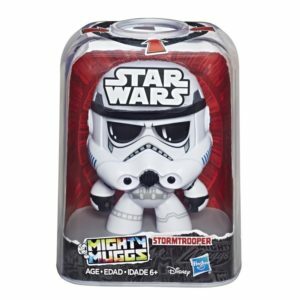 The player whose tokens add up to the highest value at the end of the game wins! 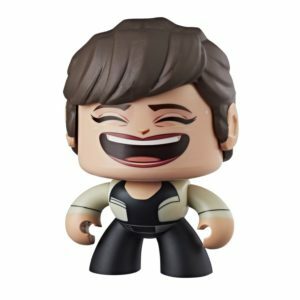 If players take too many risks – they might lose, or they could win the Millennium Falcon token! 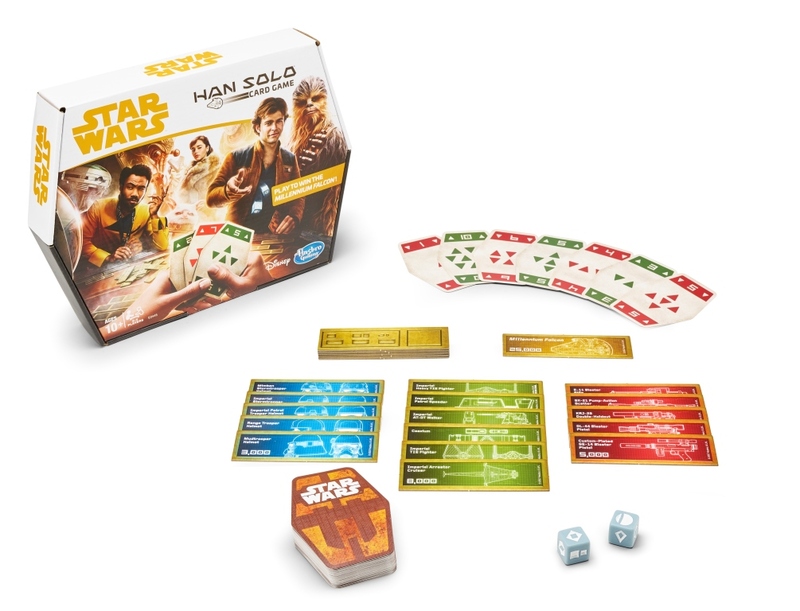 Card game includes 62 HAN SOLO Cards, 24 cardboard bounty tokens, and 2 dice.